What’s up with Sony’s PS4-exclusive Spider-Man title? For a while we were getting regular updates on the game, but then the flow of information kind of dried up. Following the major delay of Sony’s Days Gone, some fans began to wonder is Spidey had also suffered a setback. no, it’s releasing 2018 and Game Informer has the date and will share it tomorrow! 2018, confirmed! Can we narrow it down any further? Well, at last year’s E3, SIE Worldwide Studios CEO Shawn Layden indicated Spider-Man would arrive in the first half of 2018, so the game could be swinging our way pretty soon! We’ll find out for sure, tomorrow. Created by Ratchet & Clank developers Insomniac Games, Spider-Man is heavily based on recent comic books, and stars an older, more mature Peter Parker. 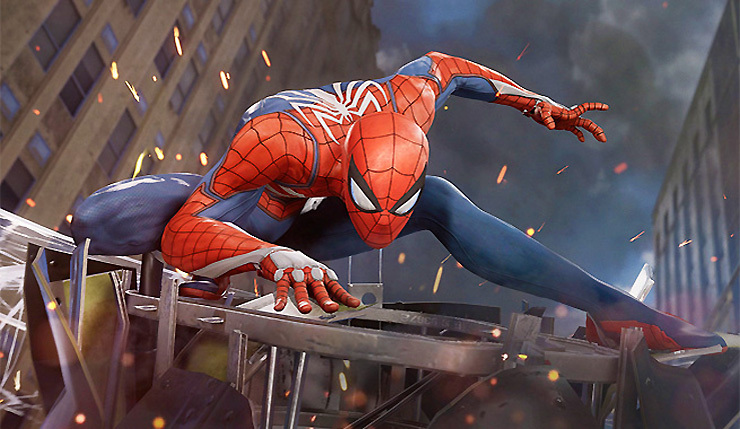 The game will feature an open-world version of New York, and focus on both Peter Parker’s superhero and civilian life. Licensed games usually aren’t great, but Spider-Man looks like it will be a major exception to that rule. The digital edition of Game Informer’s May will be available tomorrow. The magazine hits newsstands on April 6. You can subscribe to Game Informer, right here.